Udupi, Mar 3, 2017: Udupi, District In-charge Minister Pramod Madhwaraj said Karnataka is the only state in the country that offers highest subsidy on diesel used by mechanised fishing boats. 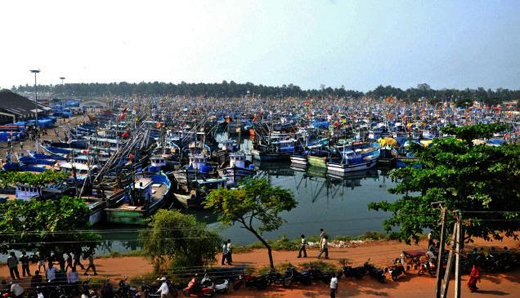 The minister told media that Karnataka has 3,600 boats and the government provides a subsidy of Rs 115.52 crore. The maximum quantity of diesel eligible for subsidy in a year in Karnataka is 90,000 litres. In Maharashtra, which has 10,000 boats and provides Rs 100 crore subsidy, gives a subsidy of only 45,000 litres in a year. Matsayamela : Madhwaraj said that youths who have applied for feasibility report by November 21, 2016 are being given the reports. He said Udupi Matsayamela-2017 will be organised from March 3 to 5 at Malpe Beach. An exhibition and demonstration on development of fisheries and fishing activities in the district will be held. A variety of dishes made from fish and stalls on the research and academic activities in the field of fish industries, sand art expo, aquarium preparation and cultural programmes will be the attractions of the mela, the minister said.